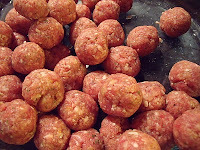 what's cooking in my tuscan kitchen: "Menesta maretata"... which became "Italian Wedding Soup"
So why do they call it Italian Wedding Soup... I have yet to see it served at an Italian wedding!! I did some research... and it looks like what the Italian-Americans call Italian Wedding Soup really started out in Naples as "menesta maretata" or "minestra maritata" or... married greens!! hence the distortion which became Wedding Soup! Many of the Italians who emigrated to the United States were from the Campania region - and once in their new country they all became napuletan'... and of course they brought their cooking tradition with them! Broad leafed greens are the an important ingredient in Neapolitan cooking: tender young Swiss chard, chicory, escarole, borage and so it should come as no surprise that they came up with this delicious soup in which the greens are happily "married" to boiled meat. The original recipe called for a rich broth made with beef, soup bone, a ham bone, piece of salami, a fresh sausage, a soup chicken and the usual bouquet of soup vegetables. When the broth was done, it was strained and chilled so that all of the fat could be removed. 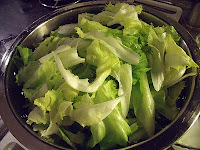 The greens - escarole, Swiss chard, chicory, torzella (a type of curly cabbage) - were prepared. They were put into a big pot of boiling water, when the water came to a boil the heat was turned off and they were left to sit in the hot water, covered for at least an hour. The greens were then served in shallow soup plates, steaming broth was poured over them and it was all topped with the cleaned, boiled meats and grated cheese. This "menesta maritata" was praised as early as 1588 by The Marchese del Tufo. But let's get back to our wedding soup! Over the years, the younger generations no longer really had a good grasp of the lingo from the "old country" and knew even less about how things were really done in the "old country". 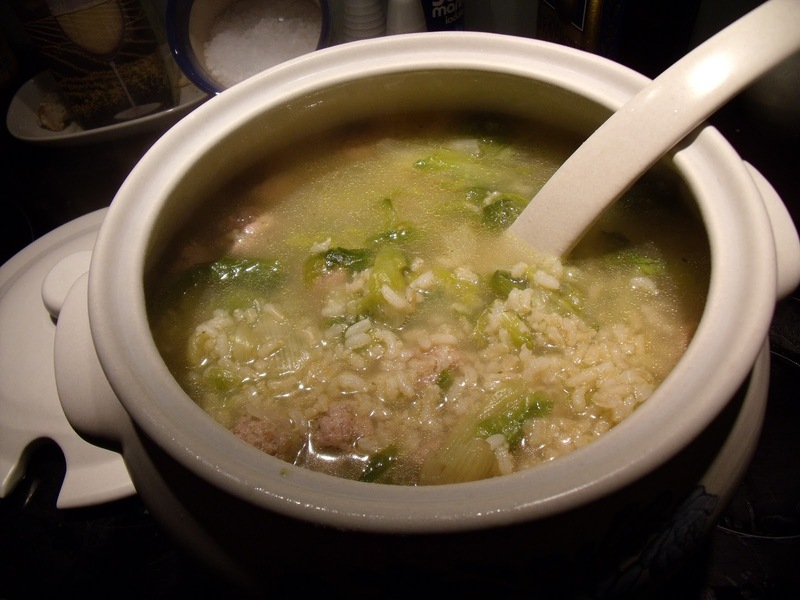 It was probably hard to find all of the ingredients and somewhere along the line "minestra maritata" evolved into "wedding soup" with its own updated recipe. So here is Italian Wedding soup - or as we kids used to call it "little meatball soup" - the way my mom taught me how to make it. Of course we all add our personal touch, and I no longer fry the meatballs, but cook them directly in the broth. I apologize in advance for the videos - shot with my left hand while my right hand did the work!! 1 T Parsley flakes, you can use fresh parsley but you have to chop it really fine. If you are making your broth fresh, start several hours before dinner time. 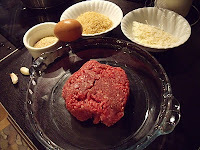 Make your meatball mix: mix meat, egg, cheese, breadcrumbs, garlic, parsley flakes, salt and pepper. I mix it with my hands, you can use a fork but believe me it is easier to use your hands! Put the broth on to boil. 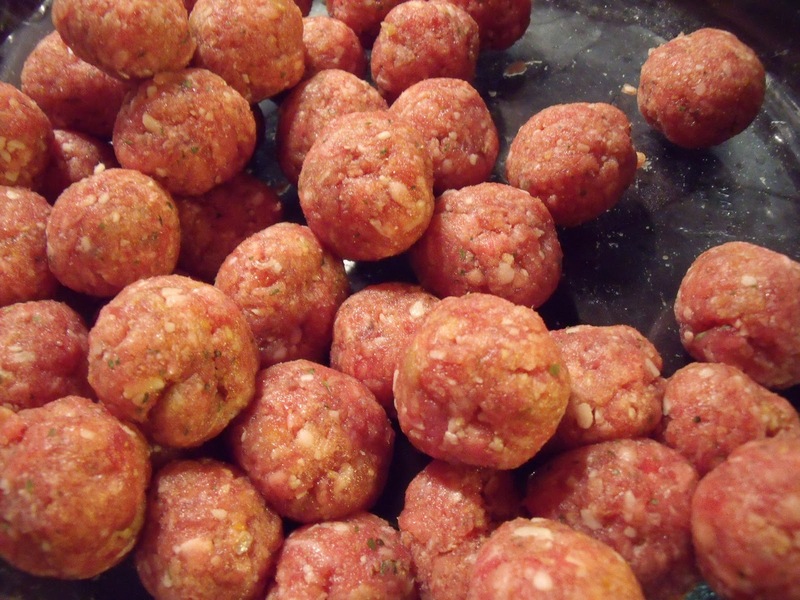 When the broth comes to a boil, add the meatballs a few at a time to the broth. 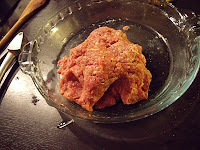 When the meatballs are firm and come to the surface, add the escarole. 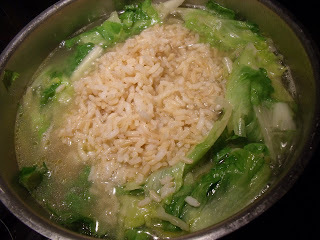 Stir the soup so that the escarole is covered with broth. When the escarole almost cooked, add the cooked rice. Bring to a boil. Lower heat and simmer for about 10 min. 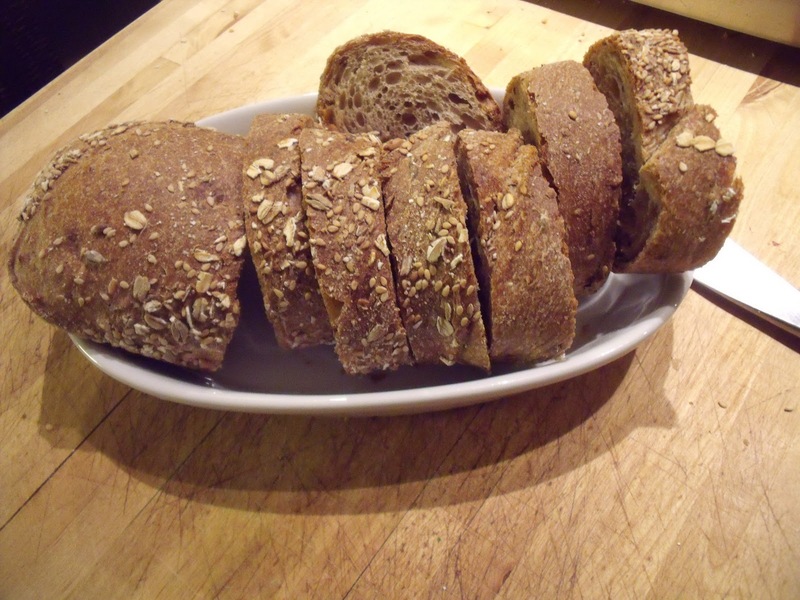 Transfer to a soup tureen and serve with crusty, whole wheat bread. ps tomorrow I will be working on my "real" job, so here is tomorrow's recipe tonight! Your Mom gave this recipe to my Mom many years ago. This is one of our family's favorite soup. We have omitted the rice and used a course ground lean beef a lot of the time. My folks have a hard time finding escarole, so when I go up there, I take 4 heads or so. We make it up and freeze it in small bowls so all they have to do is "nuke" it. .. so interesting to hear how recipes evolve! Brava! My favorite soup of all time. I read up on the history of this soup a few months ago. 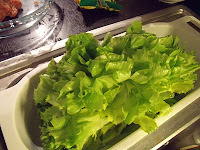 Escarole is so delicious and I often just use that and the meatballs. I like the addition of rice, very hearty. I think this will be dinner tomorrow night. Seems to me we had similar at your apt. not that long ago. Can attest to how delicious it is. 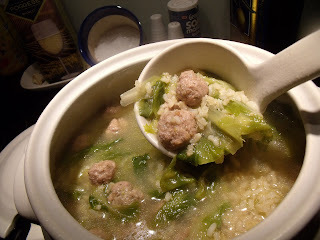 Made >the little meatball soup< last week,good for the soul and what ails you. Looking forward to many more great dishes.